Don’t judge a book by it’s cover? Not in this case. As soon as I picked up the Beekeeper album I already knew it was going to be special. 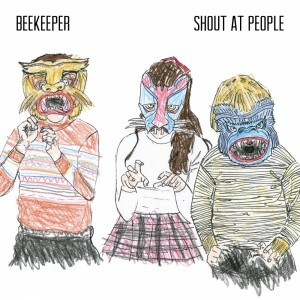 Beekeeper, a three-piece from Vancouver, have just released their third EP titled Shout At People and this may be the most unique thing I’ve heard in ages. You easily realize band member Brandi Sidoryk is a trained opera singer when you listen to the best opening ever for a CD, “Bees”. They can bring a sense of humour without being tacky and even include a kazoo on my favourite track Oh Hi!. My only complaint about this short EP is that I just wish it was longer. Barely hitting over the 10 minute mark it leaves you wanting more! So although they’re in no way a “new” band to the Canadian music scene they’re definitely a band to keep your eye on.